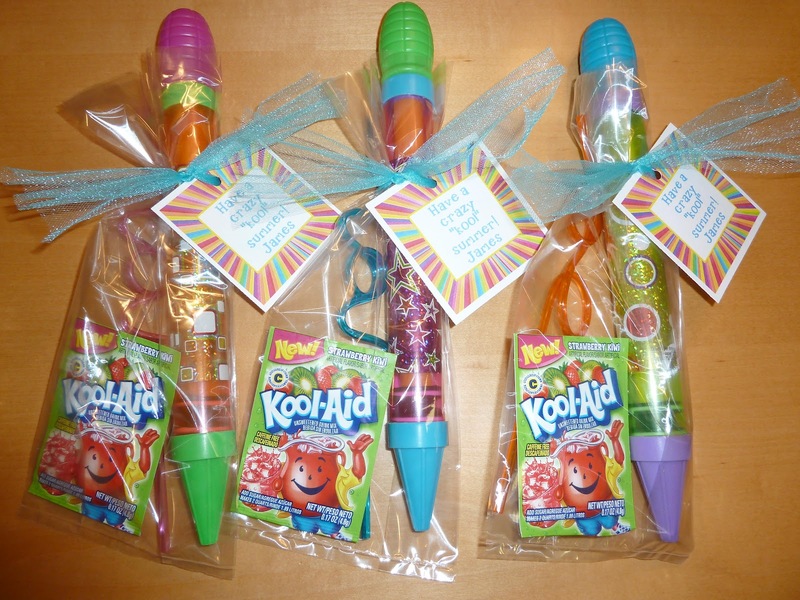 For my 4 year old's class, I got water shooters from the Dollar Tree, individual Kool-Aid packets, & crazy straws. I put all 3 in a plastic gift bag, tied with aqua tulle, and attached a "Have a crazy 'kool' summer!" tag. 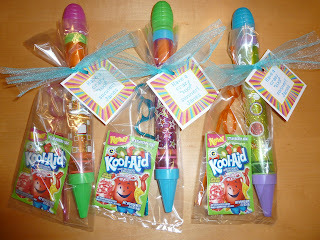 Cheap & fun! 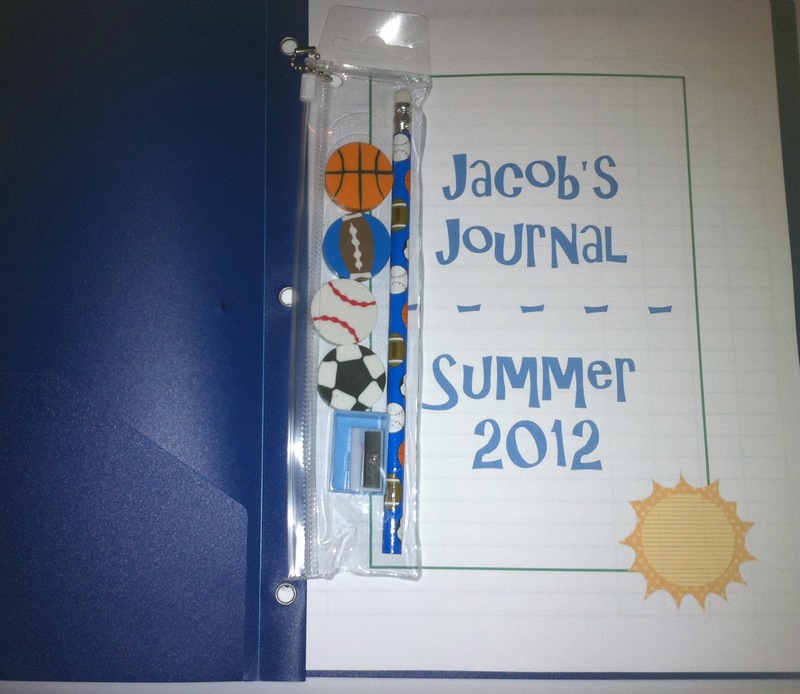 The practical one is a Summer Reading & Writing Journal. ﻿I made a cover page that said "_______'s Journal Summer 2012", printed 3 Reading Journal pages, & then copied 50 Writing Journal pages. You can download the Reading Journal pages and the Writing Journal pages. I put all of this in a plastic 3 prong folder and added a pencil set. 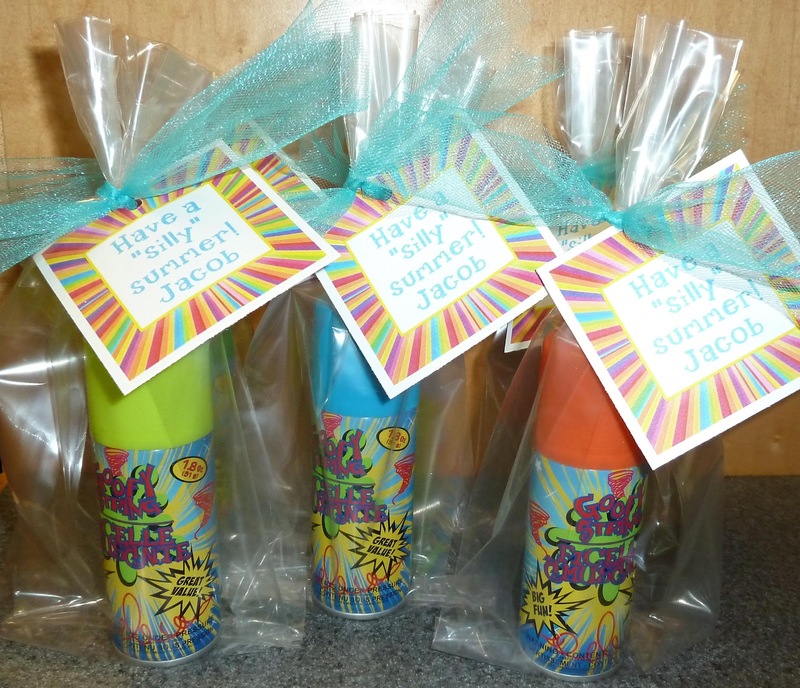 Maybe this will keep them learning over the summer!